professional development in project management, business analysis, agile or interpersonal skills development. have unlimited access to downloadable course materials and recordings 24 hours a day, 7 days a week. modules to maximize knowledge transfer. Analysis PDs or CDUs, which are required for certification or recertification. with your organization to customize on-demand courses as part of an enterprise program for your company. and enhance organizational alignment and effectiveness. Body of Knowledge, (PMBOK® Guide), our Enterprise Value Package is an ideal solution. email us for more information about our On-Demand Training. solution to accommodate the needs of their remote team members. including live chat and microphone. processes or methodologies to drive adoption and enhance organizational alignment and effectiveness. email us for more information about our Virtual, Live Instructor-Led Training. facility across the US as part of a corporate training solution. 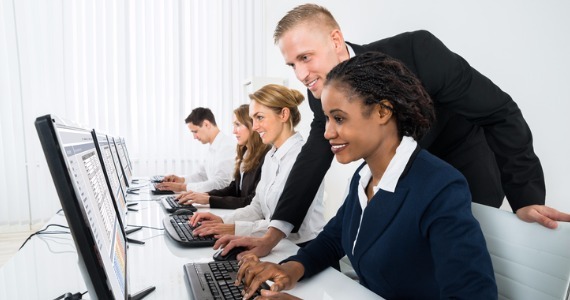 real-world knowledge of project management into the PMCentersUSA classroom. case studies, and engaging dialog. email us for more information about our Traditional Classroom Training.